Over the course of the past few weeks, I've made a point to take notice of the litter people leave behind. 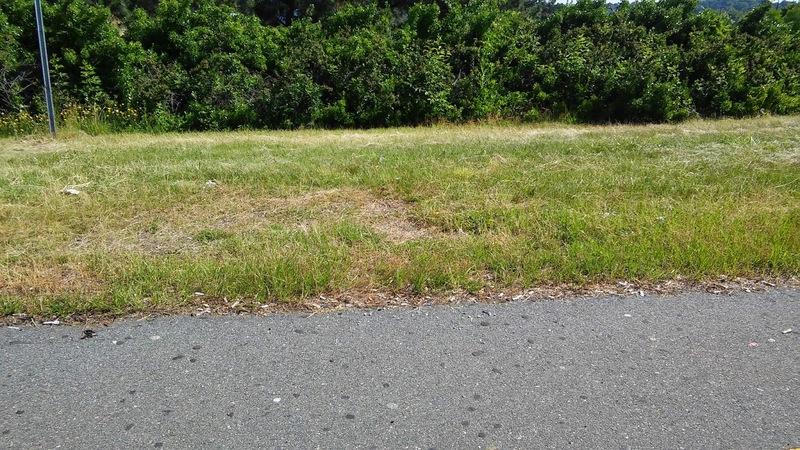 In shopping centers, along major roadways and even in public parks, humans seem to leave a massive amount of trash wherever they go. This is seriously disturbing to me. 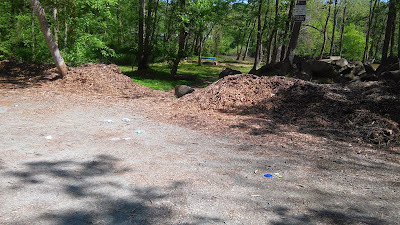 While visiting a park along the Haw River, the litter was egregiously scattered all throughout. Soda bottles, food wrappers, cigarette packs and used napkins were all over the place. There were trash bins easily reachable within walking distance. Yet, visitors somehow found it appropriate to throw their garbage on the ground. 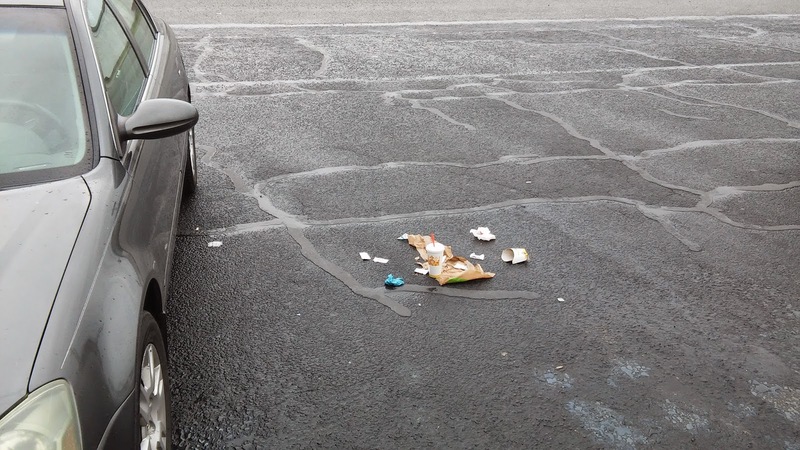 Another troubling example was the amount of fast food waste left in parking lots. 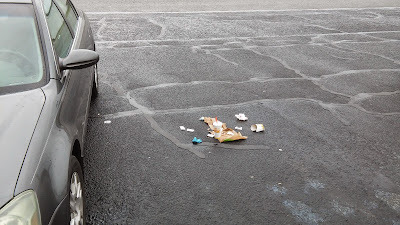 Upon finishing their meal, people would recklessly toss their used food bags, drink cups and wrappers out their car and directly onto the ground. Could you not take the trash home and place it in your garbage bin? Obviously, they couldn't -- that trash needed to leave their vehicle that very instant. You'd be surprised at how many used diapers I happened across. I won't even go into the details. This was disgusting. At a Lowe's Home Improvement store, I even found where someone had put old paint in the parking lot and left it. Really? You couldn't throw the canisters into the trash? Much less, couldn't you donate the unused paint to a local Habitat For Humanity or other second-hand store? Even an ad on Craigslist saying "Paint For Free" would have been more appropriate. While stopped at an interstate off-ramp intersection, I looked out my window at all of the garbage along the road. Drivers had tossed out cups, bottles, beer cans, magazines and, above all else, cigarette butts. 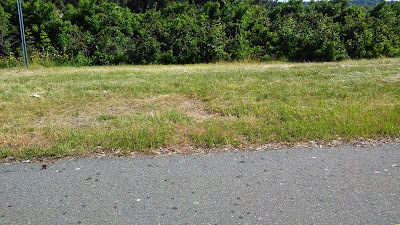 There must have been thousands of used filters along the edge of where the tarmac met the grass. It was simply repugnant. 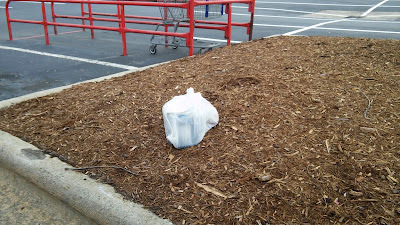 What callous smokers whom toss their butts on the ground fail to realize is that they are NOT readily biodegradable. Tobacco filters are made from cellulose acetate, which is a type of plastic. Depending on the particular manufacturer, those butts can take between two and ten years to break down, if not longer. When you throw your cigarette on the ground, you're leaving a piece of trash that lingers for a long time, just like plastic bottles. Astoundingly, this doesn't even take into consideration the threat of fires and the toxic effects on wildlife. Just because nearly every smoker does it, that doesn't make it right. You can litter your own lungs if you want, but leave nature alone. Littering is an unrepentant slap to Mother Nature's face. When you toss trash on the ground without so much as an afterthought, you're representing the worst in humanity. Please respect yourself and your planet a little bit more. Put your garbage in its proper place.